This Garland Clone Dome Propagator is a high-quality propagator featuring a high lid and adjustable ventilation panels. 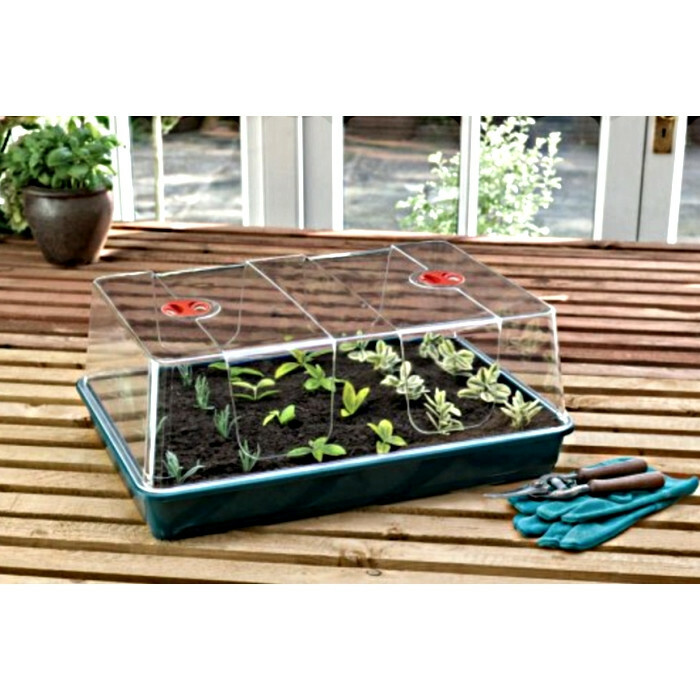 The additional height ensures your seedlings won’t run out of space too soon. Plant directly or in seed trays or pots. Add holes for drainage (no holes included). Humidity and air temperature controlled via adjustable ventilation panels. Durable clear cover, impact resistant, maximum light with a long life base tray.